Web site performance and SEO Header set Expires "Wed, 15 Apr 2020 20:00:00 GMT" Header set Cache-Control "public"
So you got all your key words sorted out, your browser titles are good. You have spent hours on your metatags and your H1 headings, so why aren't you on page 1 of Google? 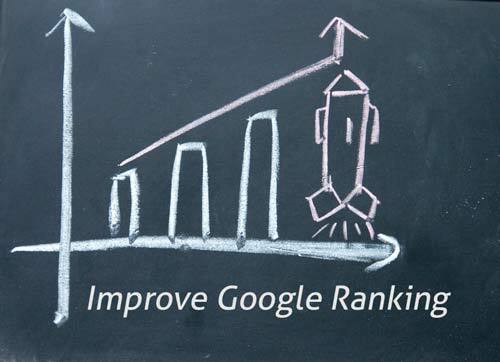 You probably guessed but there is rather more to getting up the rankings of Google than just those factors. So the first thing to address is how are you judging where you are coming on the Google positions. Looking yourself up on the search engine will only show you what Google thinks you personally want to see. It basis that on your history, what websites have you visited and what sort of searches do you do etc. It then offers you a result based on those and a number of other factors based around your web browsing habits. So how do you tell how you are doing? The most accurate way is by using Google's Webmaster's tools https://www.google.com/webmasters/. You'll need a bit of code in your website to verify you are the owner of your website before you can use this. The tools will show you the average position for each of the searches people have used to find websites like yours. It will only show you the searches that your website turned up on. Next it will show you how many actually clicked on the resulting link in Google. There a great deal more information here to but it is a very useful start. How is your site performing? Google provide a handy tool called pagespeed. Page speed will score your website's performance and offer suggestions. It's worth noting that it scores separately for Mobile and Desktops. Now don't expect a perfect score, there will be a lot of things in a website that cannot be be rearranged as suggested and still have a functioning site. Ok, you could have a few lines of plain text on a white background. That will get a perfect score, I did try that. The thing is that Google looks at all these things when ranking your website. There is one factor that overrides all these, visitors. The more visitors you have the better you will do, plain and simple. So assuming your website is working well and doesn't have too many bad links then the more visitors you can get to your website the better and better than almost anything else.